Alright, so, i have multiple accounts. When i fire up EVEHQ i can see pilot names and training info, but i have no idea which account holds certain pilot. Last edited by nooban on Fri Apr 28, 2017 6:13 pm, edited 1 time in total. This is a good idea and it (I guess) could be added easily. 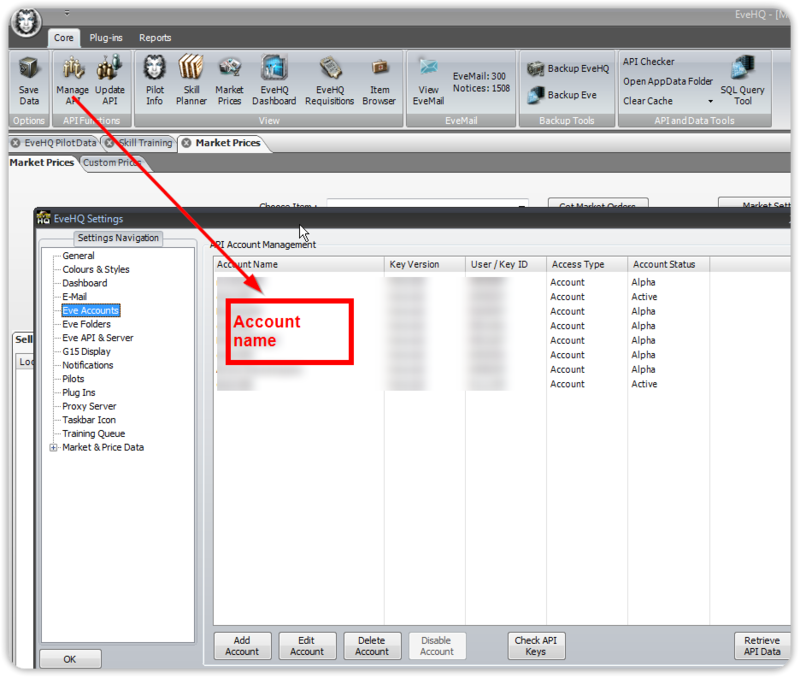 Actually, account name already exists in EVEHQ, but it still isn't useful, because i still cant resolve which account name is certain pilot. Do you mean training bar or pilot information window ? Would be awesome if it would be in both places ....but if you can do only one of those, it will still be useful info, since it will be visible. I agree, ...in any case it will be of great help. 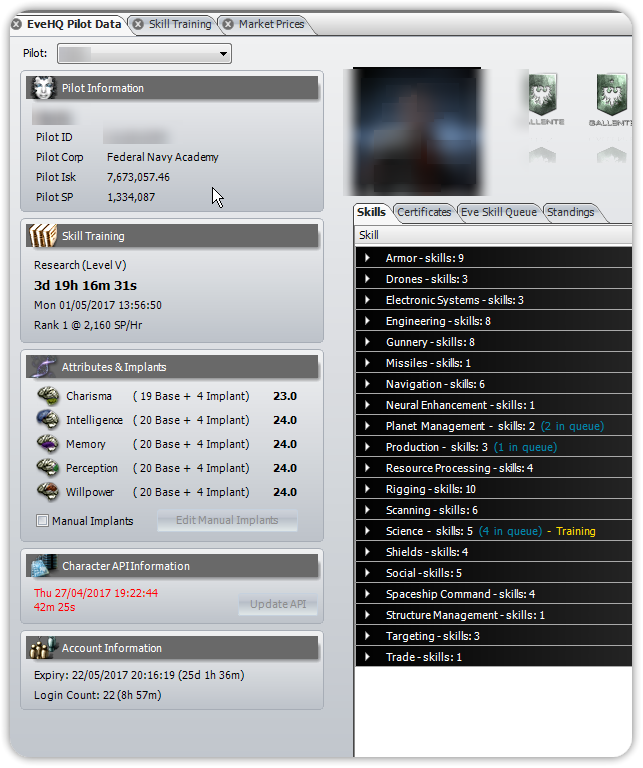 I changed the setting/pilot section to display account name instead of ID and added the name if available in the pilot info screen. Change will be shipped will the next release !